Igor Sorokin about e-commerce, remote team management and future of Bitcoin. Hello, the field of affiliate marketing is mostly lack of content, especially in terms of interesting videos. We decided to take this situation in our hands and provide you with a series of professional interviews with industry leaders and successful affiliates. The amount of videos will be corresponded with your feedback, as we are not interesting in simple shooting «for the drawer». Hence we encourage you to share your opinion in the comment section for if it was interesting and, of course, share, like and subscribe! The path from zero knowledge noob with a couple of grands in the pocket to super affiliate running an international company of 20 people with 8 figures revenue goal set for this year. Igor is a Russian super-affiliate and entrepreneur, speaker on the latest AWA. Well known from his blog on Defo. Lives in Barcelona, where an interview was filmed. We were talking about pros and cons of e-commerce and how this industry differs from the usual affiliate marketing. Also a little about Bitcoins. Igor shares his thoughts on management, success and self-development. Let’s watch! Review of the Conference AWA17 in Bangkok. Preparation, Lifehacks, Interview with Conference Participants. Hi there! In light of recent events, affiliate conferences have become an integral part of the arbitrage life. The Binom team has visited more than 20 conferences, both Russian and international. Some of them we attended as speakers; that’s why we definitely know how to get the maximum from each event you are going to visit. Is it necessary to attend conferences overall? Do we have to pay attention to such important thing in our work as networking? 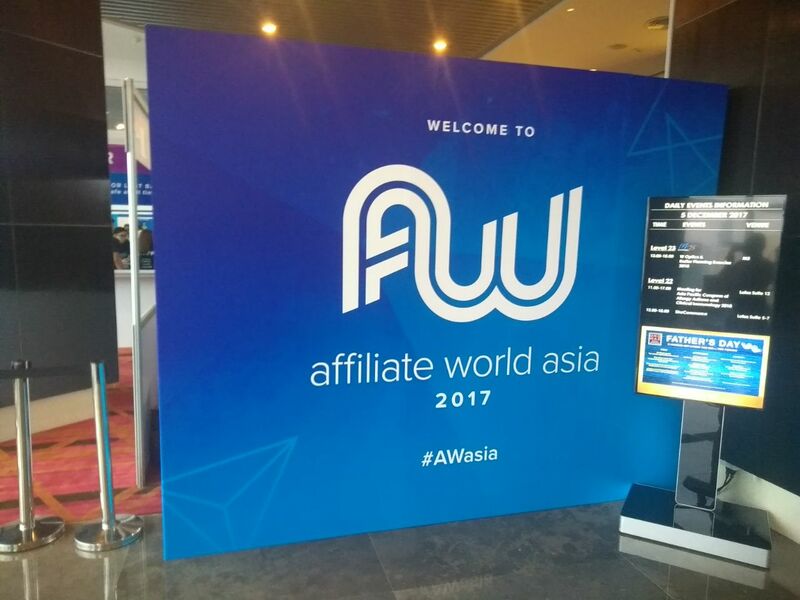 As a bonus, we are glad to provide our readers with insider information about the “Affiliate World Asia 2017” conference from our colleagues from Defo forum Alex Black and Michael Entropia. What prevents you from being successful in affiliate marketing and life? In this post, I will share with you some of my thoughts on how to succeed in affiliate marketing. Many of these points are good for other activities too. So, let’s begin. That is the reason why some people cannot reach the heights of success and live the life they dream. He one who conquers fear is successful. The moment you deny fear, spit in its face and raise your head – you become a man. Procrastination, laziness, diffidence, apathy, infantilism, lack of lofty goals, and need for stability – everything comes from a feeling of fear. Fear of failure, communication with people, being stupid to others, losing money and self-confidence, fear of conflict, changes, saying what you think, telling the truth. In fact, everybody else knows the truth about themselves, but fear even prevents you from being honest with yourself. Fear is the key to everything. And yes, your comfort zone is the same story. Why it’s so difficult? Because it’s scary.